My name is Matt Burgoyne and I’m an associate at Canadian legal firm McLeod Law. I’m involved with Canadian and international counsel in the developing area of virtual currency law, specifically including bitcoin currency. In this two-part series, I will give a basic primer on the state of Canadian law as it applies to digital currency entrepreneurs. 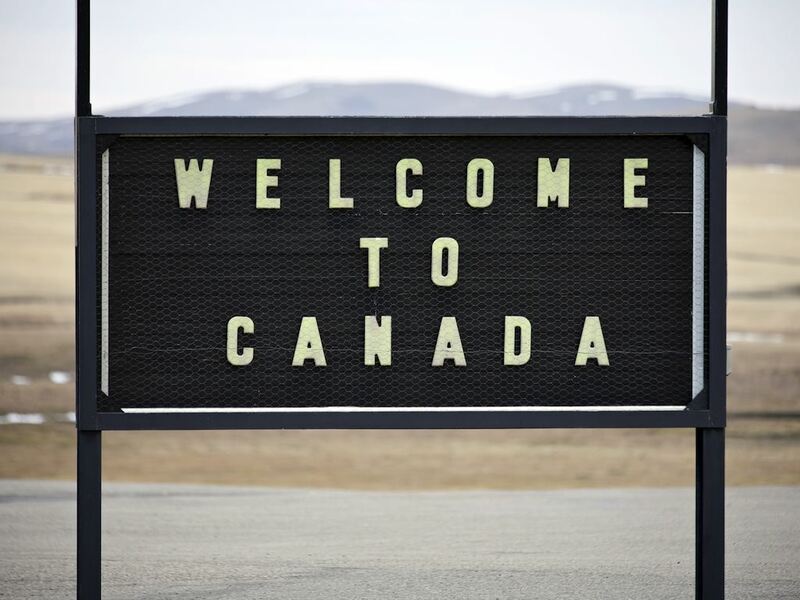 Unlike its elephant neighbour to the south, Canada’s federal and provincial governments and their regulators have been relatively quiet when it comes to the issue of bitcoin and exactly how it should be defined and governed. Despite the lack of a formal position on bitcoin, we as lawyers can make educated guesses on the federal and provincial legislation that might apply to businesses operating in the bitcoin space in Canada. In this first article of a two-part series, we will cover the Canadian federal law as it currently applies (or more accurately doesn’t apply) to Canadian businesses operating in the bitcoin space. In Part II, we will cover provincial regulations pertaining to, or which could pertain to, bitcoin businesses. In Canada, it’s safe to say the bulk of the action lies within the domain of our federal legislation, compared with the situation in the US where, as Marco Santori phrased it, “the state level is really where the action is”. 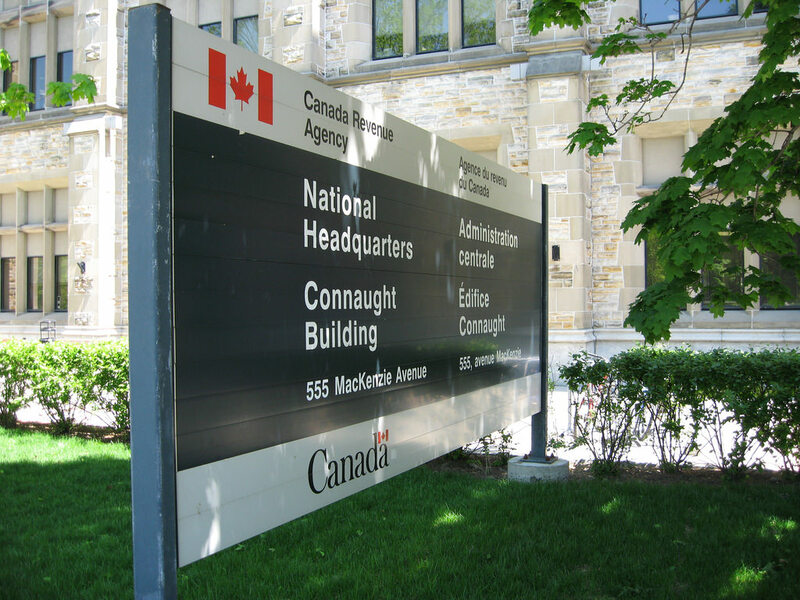 Will the Canada Revenue Agency want a piece of the action? 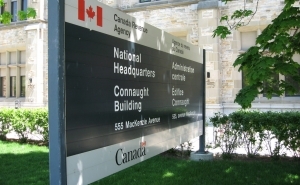 The Canada Revenue Agency (the CRA) is our federal taxman equivalent to the IRS is the US and the HMRC in the UK. It’s governed by federal legislation called the Income Tax Act (Canada) (the Tax Act). To the best of my knowledge, aside from a Canadian Broadcasting Corporation (CBC) news article posted on CBC’s website in late April, where a representative of the CRA confirmed that taxes on bitcoin could indeed apply to certain transactions pursuant to the Tax Act, no branch of the Canadian government has issued an official notice or any form of written guidance on the state of the law of bitcoin. The scant information provided by the CRA referred to in the CBC news article confirmed that two separate tax rules apply to bitcoin, depending on whether bitcoins are being used as money to buy things or if they are merely bought and sold for speculative purposes. According to CRA spokesman Philippe Brideau, barter transaction rules would apply between arms-length parties, such that where a purchaser has received value in a bitcoin transaction (and that value is received in fiat currency or bitcoin), that value must be documented as a taxable gain of at least the amount of the value of the good being exchanged or sold. In the CBC news article, Brideau made reference to the archaic CRA Interpretation Bulletin IT-490, which is dated 5th July, 1982. It refers to “sophisticated computer-controlled systems of commerce proliferated by franchised, member only barter clubs, where credit units possessing a notional monetary unit value have become a medium of exchange” and how barter rules apply to those exchanges. To my knowledge there has been no further written guidance from the CRA other than the above statements made in the CBC news article and the now ancient Interpretation Bulletin. No CRA ruling has been publicly released to the media in Canada or published on the CRA’s website specifically relating to bitcoin. What should businesses be most concerned with? Despite regulation derived from the Tax Act that would govern how bitcoins are taxed in Canada, I believe the federal Proceeds of Crime (Money Laundering) and Terrorist Financing Act (the PCTFA) would be the major starting point and piece of federal legislation that could impact a bitcoin brokerage, exchange, bricks and mortar or online vendor accepting payment in bitcoin. It could also affect any organization in the business of selling a bitcoin-related product, such as pre-paid gift cards that are instantly redeemable in bitcoin. Another piece of federal legislation that could apply in Canada to bitcoin businesses is the Criminal Code of Canada (the Criminal Code), which is within the domain of the federal government and is not regulated by individual provinces/states as is the case in the US. 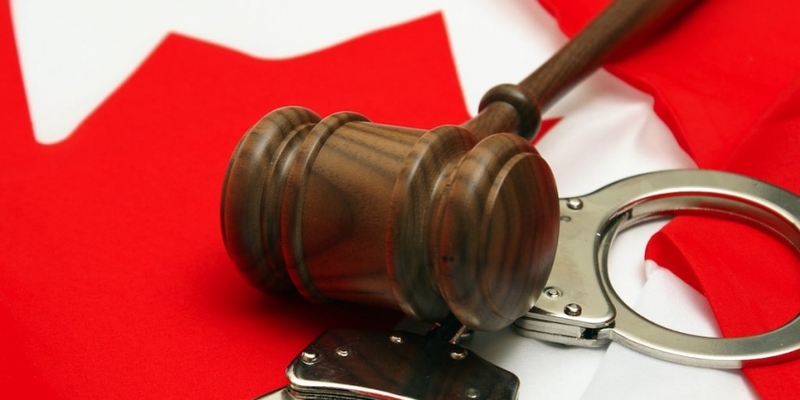 Here is how the Canadian Criminal Code might apply to bitcoin businesses operating in Canada: unsurprisingly, the Criminal Code confirms that it is illegal to launder proceeds of crime and every business will have committed an offence if it uses or transfers any property or any proceeds of any property with intent to conceal or convert that property or those proceeds, knowing or believing that the property and its proceeds were obtained or derived directly or indirectly via illegal sources. In Canada, pursuant to our constitution, currency and coinage, legal tender and other financial activities, such as banking, fall under the exclusive domain of the federal government. The Financial Transactions and Reports Analysis Centre of Canada (FINTRAC) is the police force behind the PCTFA (similar to FINCEN in the US). In a separate case, a client of mine, CoinTap did essentially the same thing as the brokerage mentioned above and exercised some due diligence. The company, which produces and distributes pre-paid bitcoin gift cards that can be purchased at retail or online vendors and redeemed instantly for bitcoins, contacted FINTRAC in order to get an answer to the question of whether its business model would be considered a ‘money service business’ (MSB) that would trigger some rather onerous licensing requirements. CoinTap was contacted by a representative of FINTRAC who requested that CoinTap send FINTRAC an email with its business model, how it was receiving money and its cash limits for selling the pre-paid bitcoin gift cards. The FINTRAC representative indicated that they would take a close look at that data and let CoinTap know if they need to apply to be an MSB. Fingers crossed, as of the date of this publication no reply has been received, but CoinTap is obviously hoping for a response similar to what was provided to the brokerage mentioned earlier. The risk here is that, pursuant to section 73 of the PCTFA, the governor in council has the power to make regulations prescribing additional entities as falling under the jurisdiction of the PCTFA. If history is any indication, it is only a matter of time before Canada follows the example set by the United States government in terms of regulation of bitcoin and its users. My prediction is that such regulation, as a starting point at least, could come through the PCTFA and will definitely apply to bitcoin brokerages and exchanges, but it is possible that those regulations may apply to bitcoin companies which offer other services than just currency exchanges or brokerage services. Under the PCTFA, a business that falls under the jurisdiction of FINTRAC and its associated regulations includes “persons or entities engaged in the business of foreign exchange dealing, of remitting funds or transmitting funds by any means or through any person, entity or electronic funds transfer network, or of issuing or redeeming money orders, traveler’s cheques or other similar negotiable instruments except for cheques payable to a named person or entity”. Name a compliance officer: someone who will have enough authority and autonomy in the organization to be able to put into effect the compliance regime. Write a very comprehensive (and legally expensive) compliance policies and procedures manual detailing how you will meet all of your registration, reporting, record keeping, client identification, and risk management obligations. This is similar to the anti-money laundering requirements in the United States. The manual has to be reviewed by FINTRAC every two years. Identify Clients: Similar to the FINCEN requirements, clients have to be identified and meticulous records must be kept in various situations. Large cash transaction and electronic fund transfer report: A report has to be sent to FINTRAC within 15 days after an MSB receives $10,000 or more in cash or electronic funds in one transaction from one client or two or more cash or electronic transactions within 24 hours that total $10,000. The question of whether any Canadian bitcoin business (bricks and mortar coffee shops accepting bitcoins as payment for an Americano, Canadian online retailers accepting bitcoin as payment for funky t-shirts, etc.) that are not bitcoin brokerages or exchanges in Canada would be deemed to be MSB’s by FINTRAC will depend on various factors. In my opinion, FINTRAC is going to widen the net in terms of what type of bitcoin businesses will need to be licensed as MSB’s, probably because of pressure from international governments and other outside interests. So, according to this correspondence at least, FINTRAC would give bitcoin businesses a ‘heads up’, if you will, prior to implementing any of its cumbersome legislation. In my opinion, any kind of retroactive penalties which may be imposed by FINTRAC are unlikely, given bitcoin’s anonymous nature, but one can never be sure. To summarize, the current state of the federal law in Canada is that bitcoins, the brokerages that are used to convert bitcoins into fiat currencies, bitcoin exchanges and online and storefront vendors are currently not subject to regulation. 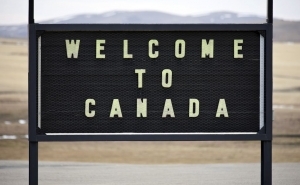 It could be a fair statement to say that virtual currencies in Canada are very much operating in a “wild west” type of environment, with the caveat that FINTRAC is likely monitoring the current legal environment and rest assured, bitcoin companies (any business operating in the bitcoin virtual currency space) will be regulated in Canada at the federal level at some point in the future.